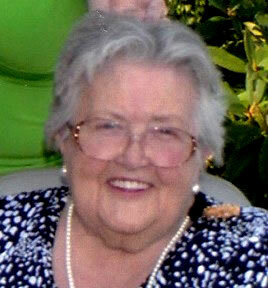 Roberta Webb Maben of Willamina died on April 24, 2013. She was 91. She was born Nov. 21, 1921 in Roselia, Wash. to Grady and Lillian Webb. She married Peter S. Maben on Nov. 24, 1939. After moving to Oregon she attended Molalla Union High School and graduated in 1939. After marriage she resided in Mulino until moving to Willamina in 1974 where they owned and operated Maben Trucking until 2004. Mrs. Maben was very active in the Mulino community where she raised her family. She was part of the Mulino Lioness, a leader of 4-H, President of Zamo, foster parent and a cook at Mulino Grade School for many years. She was also a member of Mulino Baptist Church. She received her Realtor license in1967 and worked out of Safe Buy realty office in Mulino. She took pride in her family and enjoyed throwing parties and celebrations for them. Mrs. Maben in survived by her daughters, Deanna Mustoe of Molalla and Cheryl Parker of Bend; sons, Charles Maben of Madras, Donald Maben of Scappoose, Wash., Richard Maben of Dallas and Kenneth Maben of Salem; brothers, Max Webb of Portland and Bob Webb of Spokane, Wash.; 19 grandchildren; 25 great grandchildren; and four great great grandchildren. Her sister Vivian preceded her in death. Services will be held on May 4, 2013 at the Canby Funeral Chapel 160 S. Grant St. Canby Ore. at 12:00 p.m. Craig Hall will be officiating.